The fourth in this batch of tests is for Noodler’s Ottoman Azure. 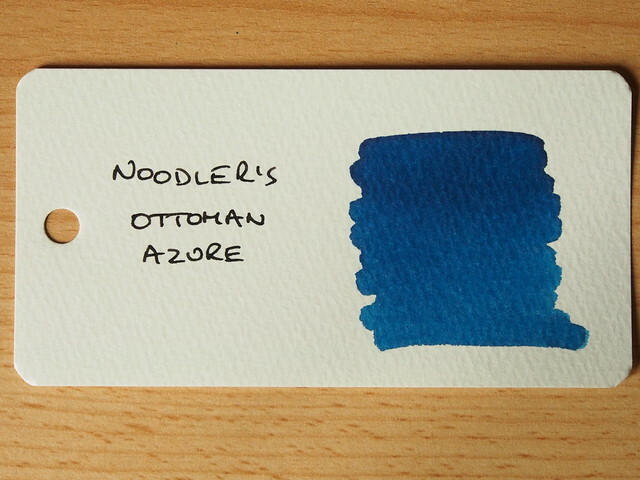 When I originally bought this ink I thought the name was chosen to evoke the deep blue skies of Turkey, which was reinforced by the label until I looked closer and saw the text “The color of the tiles within the Sultan’s six minarettes”. A trip to Wikipedia came next. Do you agree? Looks pretty close to me. “Blue Mosque Ceiling Blue Tiles” by Bjørn Christian Tørrissen – Own work by uploader, http://bjornfree.com/galleries.html. Licensed under CC BY-SA 3.0 via Wikimedia Commons. Okay, the photo was taken within the Blue Mosque itself, not the minarets, but I couldn’t find any photos of the tiles within the minarets, assuming there really are any. I’m not planning any trips to Istanbul soon, much less to get inside a minaret to check the color of a tile against a bottle of ink, so that’s the best I can do. Before going any further, this review marks a move to increased sizes for images, so they can be seen at a reasonable size without having to click on them. I’ve also been dissatisfied with the scans produced by my Epson 3170 Photo Scanner, which I have been using for the Field Notes pages, while the loose sheets go through a ScanSnap document scanner. I stopped using the Epson to scan Word Cards in favour of digital photos, not because of the quality of the image (which I think is slightly better than the ScanSnap), but because the colours always looked too saturated – great for scanning print photos, but not getting truthful scans of ink samples. The ScanSnap isn’t perfect either, but it is more realistic. It does mean however that I’ve had to resort to cutting the pages out of the notebook to run them through the ScanSnap – which I’m sure is really bad Karma. 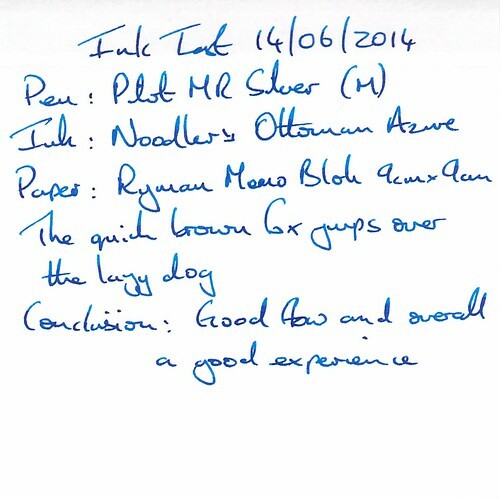 I suppose the next step is to start photographing the writing samples as well. I’ll think about that further before the new batch of ink reviews. Anyway, back to the ink. It was another Ebay purchase, so still moderately priced, bottle full to the brim in the black and white cardboard box. I’m running out of new ways to say the same thing. I found the drying time to be on the long side at around a minute. Water resistance was almost no existent, only faint vestiges of the lines remained with the droplet test and the ink washed off completely under a tap. It was very easy to clean out of the pen though. 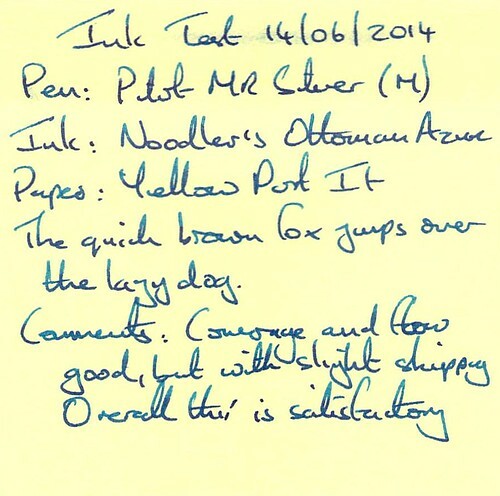 The ink itself performed well – no complaints there. The ink does have a cerulean tinge to it, which puts it a little further down my list of preferred blues, but I don’t actively dislike it. No problems here – if anything it looks a little better than on Rhodia. 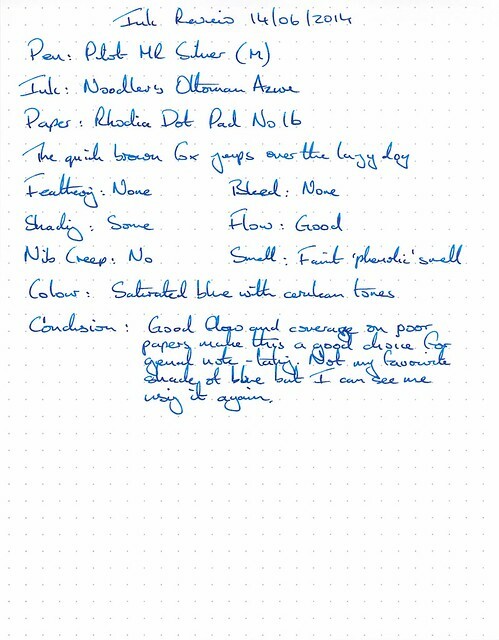 The test itself went well, and the results were satisfactory until I ran my finger over the top of the Post It to stick it to another sheet and the ink smudged as can be seen in the scan. 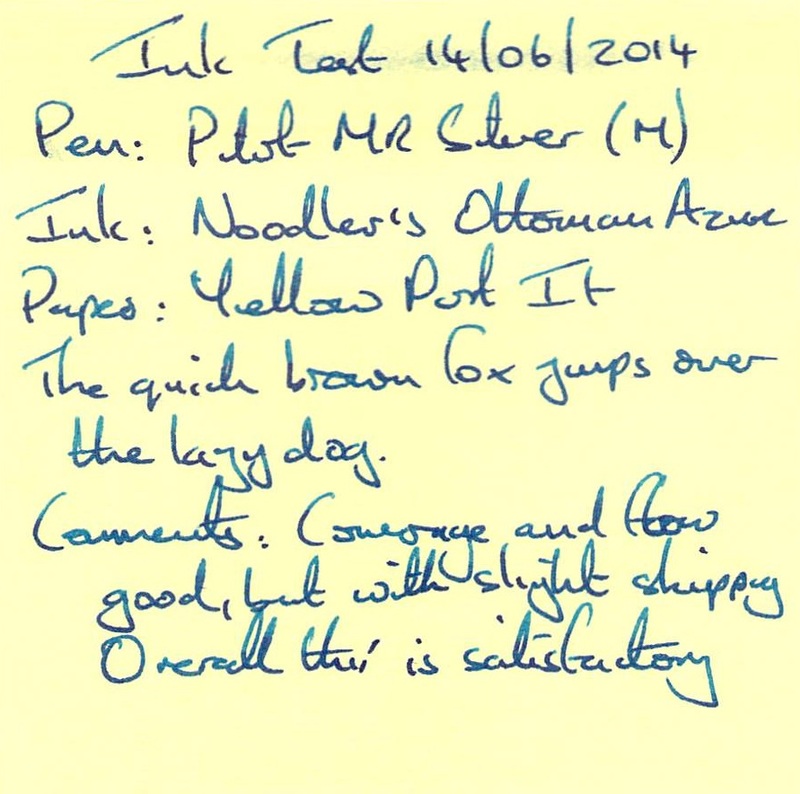 I put this down to the longer dry time, so something to be wary of the next time I use the ink. The bleeding and feathering were just about tolerable although as in the comments it seemed to spread more as it dried. It would still be okay for a quick note though. Nicely saturated, the swab gives an idea of the range of shading. 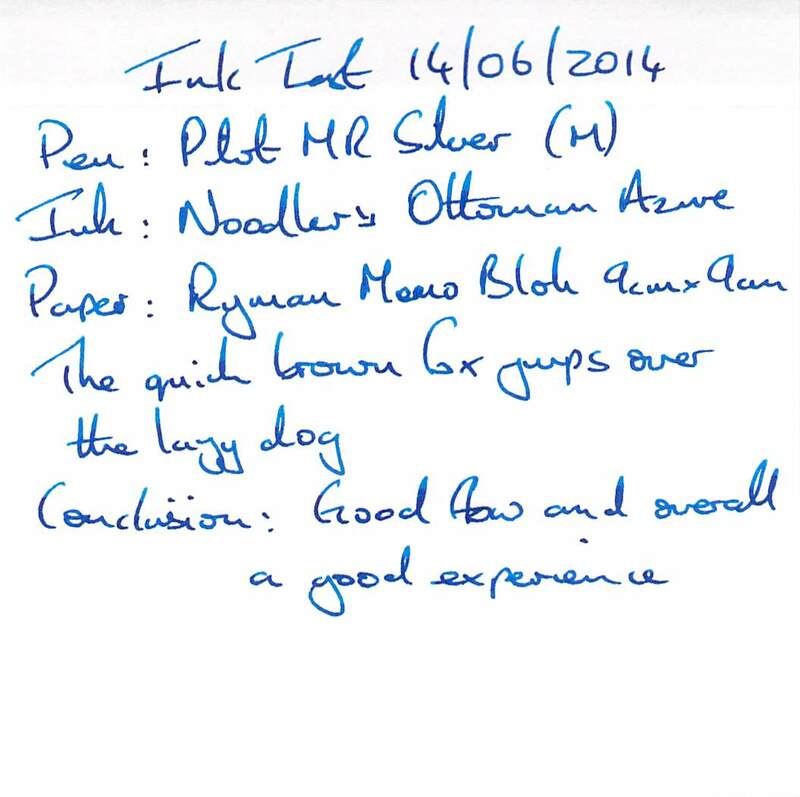 I’m in danger of damning this ink with faint praise, but I’m sure it will make a pleasant change from time to time. The dry time is a mark against it, but then I do use other inks with even longer dry times – yes, Mr Poe, I’m thinking about you again. 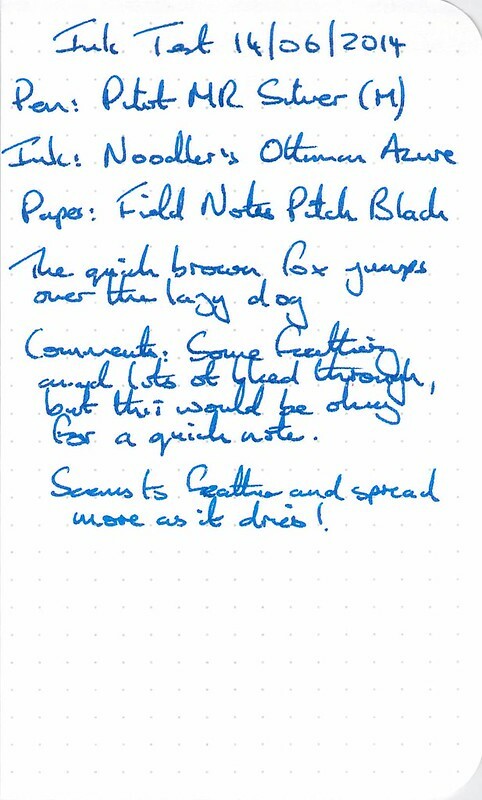 It’s also clear my handwriting seems to be getting worse with each of these tests. I must do something about that. As develope my taste for colors I venture from dark blues and blue-blacks to teals and now the more “blue” blues. I had grown to dislike these from my school days, where everything I had was the same old boring Pelikan 4001 Königsblau ink cartridges, year in and year out. This is a blue that excites me. 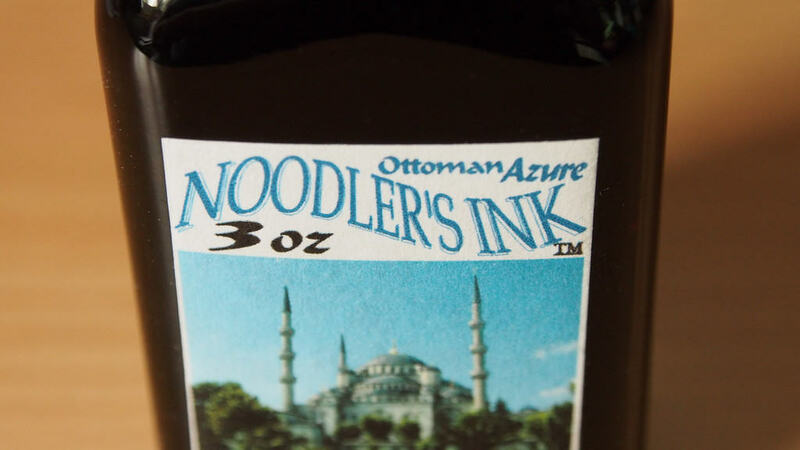 I have to get a bottle the next time I order from Goulet, too bad that Noodlers is so hard to get in Germany. I know what you mean about “School Blue” – for me it’s defined by Parker Quink Royal Blue. My tastes still veer towards the more saturated blues, especially those leaning to violet. I’ve found a couple of blue blacks that I find just okay, but nothing close to teal yet. Maybe I need to mature more for that. 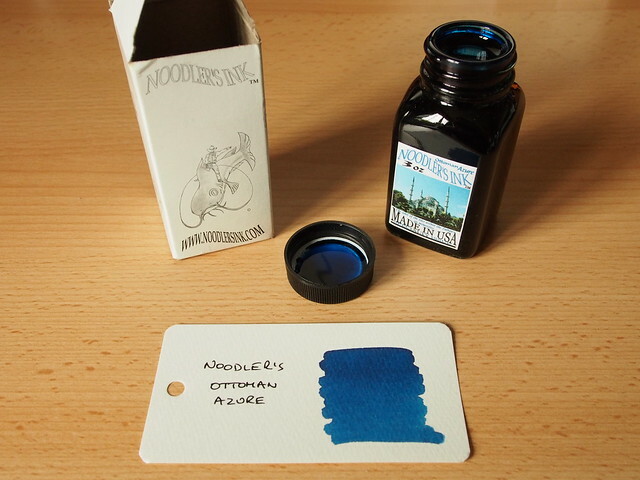 It is a great shame about Noodler’s ink in Europe. There is one supplier in the UK, but I’ve exhausted all their colours that I find interesting for the time being. So the rest of the time it’s either Goulet or a small number of Ebay suppliers with reasonable shipping costs.